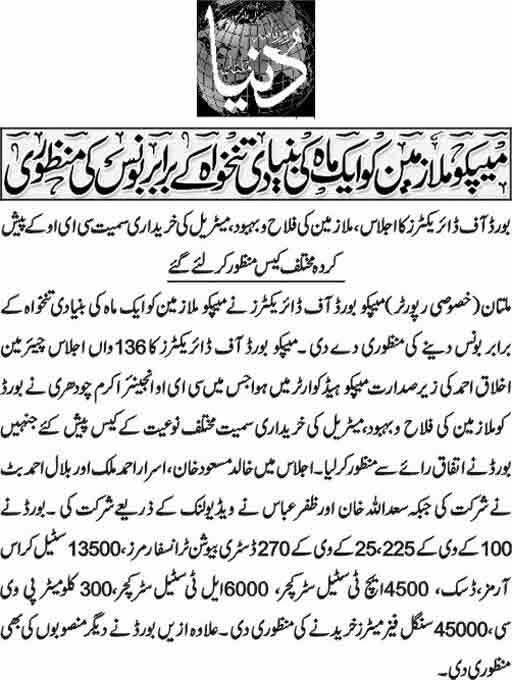 Multan (Daily Dunya Dated 5th June 2018) – Board of directors of MEPCO has approved the annual bonus for its employees. One month basic pay will be given to the public servants. Board’s meeting held under the chairmanship of Ikhlaq Ahmad. This was 136th meeting of MEPCO board of directors. Detail of Urdu news report is given bellow. MEPCO is abbreviation of Multan Electric Power Company. 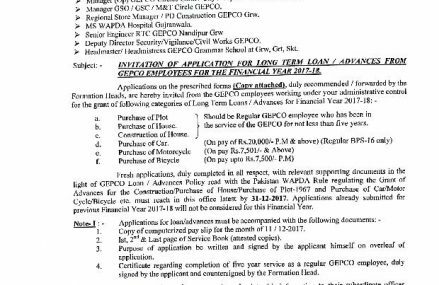 Mepco will issued bonus notification 2018 soon. MEPCO is power distribution of WAPDA. Its jurisdiction consist of Multan, Bahawalpur and Dera Ghazi Khan Divisions. It has more than 15000 working employees.